The Garden is collaborating with Xishuangbanna Tropical Garden on a Sino-American Orchid Conservation Center and an inventory of plant species of tropical Yunnan. An inventory of mosses is underway. In collaboration with other agencies, the Garden is helping to organize information for conserving the unique vegetation of the country. Hooglandia, a newly discovered genus of Cunoniaceae from New Caledonia - includes images. 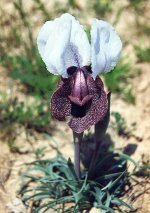 Scientists from the Garden and the Institute of Botany in Tbilisi collect plants that are screened elsewhere for chemicals of potential interest to pharmaceutical research. A permanent collaboration has been established, and the Institute of Botany has provided the Garden's herbarium with many specimens of the Georgian flora. Russia has a rich history of gardening with native ornamental plants, many of which are little known to gardeners outside of Russia. This compendium by Tatyana Shulkina provides extensive information on the diversity of Russian ornamental plants and their characteristics and culture requirements. The Herbarium of Vascular Plants of the Komarov Botanical Institute (LE) is one of the largest collection in the World and main herbarium in Russia. The Herbarium numbers more than 6.000.000 specimens from over the World. Collections from LE are playing an important role as a basic source of data for investigating of plant resources, especially their taxonomy, distribution, phylogeny, morphology, molecular biology, conservation and economic importance. The Garden is collaborating on an inventory of the plants and animals in endangered protected areas, helping to rebuild the country's conservation capacity. This program includes training for local botanists.